Spaghetti Dinner and Mattress Sale!!! or pre-order at Musical Box Office for $7/adult! ALL hands on deck to help out!! Invite your friends and family to come for a meal after the matinee or before the evening musical shows! Money raised goes towards reducing the cost of the 2019-2020 WHHS Band trip!! Use the flier below and copy into social media. Final planning for the mattress sale!!!!! Important: Voting on bylaws changes. Please see proposed changes by following this link - click HERE! ATTENTION - RESPONSE NEEDED BY TOMORROW!!! Heinz Field reached out TODAY to see if anyone is interested in working Opening Day at PNC Park. They will enter through 24 hour security (this is at the intersection of Mazeroski Way and North Shore Drive.) Once they enter security they will make a right in the service tunnel, walk past the loading docks and I will be there to help them get to where they need to be! Bingo was a HUGE success!! Not only did the Elks give our kids and adult volunteers HUGE compliments, we raised over $5,000! Final numbers will come out once we process all costs. This happens between the matinee and evening musical shows - all student hands on deck!!!! We will need LOTS of servers (students) as well as adult help. A bring it sign up will be opened after BINGO! More info to come at the April BPO meeting (about this fundraiser! EVERYONE NEEDS TO PARTICIPATE TO START SAVING FOR NEXT YEAR's BAND TRIP! Money from the mattress sale helps reduce the costs for ALL band members for the 2019-2020 year trip! Elections will occur during APRIL meeting - Please help our kids get to their next band trip and have a good season! 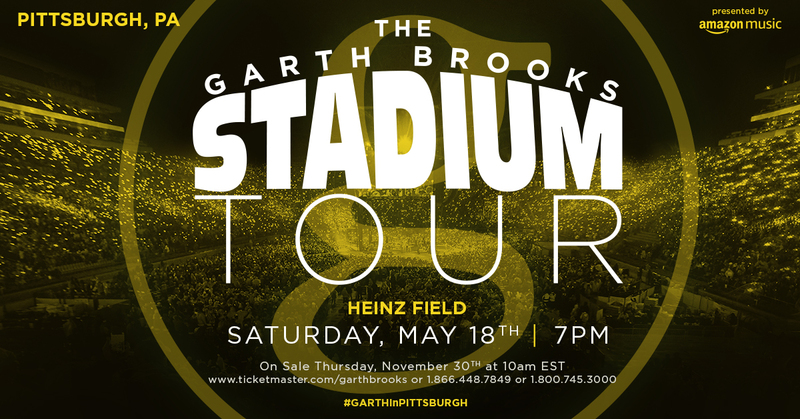 New info on Heinz field training - scroll down to the Garth Brooks information!! SOLD OUT!! Way to go people! Now we need to work hard Sunday and make even more money! Bring your promised BAKED GOODS to the Elks on Sunday BY 11am!! We still need kitchen helpers for that day! Help needed at Heinz Field for this concert - get a jump on fundraising for next year!!!!! You must be trained - go to http://www.whhsband.com/volunteer for more information (scroll down and look under the Steelers FB schedule for directions on what to do). If you were trained for the 2018 Steelers season, you need to renew your ServSafe Training (ask Donna Kefalos if questions about your RAMP training which is good for 2 years). If your volunteers attend our training at Heinz, we will cover the cost to train, however the class is roughly 3 hours long so please plan accordingly! We will be holding a “New Volunteer” Stand Operations training on Saturday, May 11th at 10am. This is where we will show them around the building, where to enter on game days, the concessions stands, cash registers, and stand paperwork. Everyone will enter Gate 6 on Reedsdale Street for all trainings. These are filled on FIRST COME FIRST SERVED basis!! Let Donna know ASAP!! ... the show is the music of QUEEN!!! or search for the WHHS Band & Images Facebook page and ask to join (make sure you answer the questions)! IT WILL SELL OUT!! You can get tickets at the BPO meeting or the musical box office! SPREAD THE WORD, come play, get your friends to come! We still need kitchen helpers and ADULT quick pick runners for that day! Band/images fundraisers this semester - Full participation is needed to make these a success!! We will need student and adult helpers! More info to come in April about this fundraiser! To Register, CLICK HERE and donate the registration amount to the WHHS BPO! All students under the age of 18 need to have a waiver signed by their parent/guardian in order to participate. 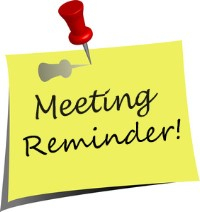 BAND PARENT MEETING NEXT WEEK! Forms are in the Band Room NOW! Again this year for your out-of-town customers…they can order online and have it shipped directly to their house. Just visit www.sarriscandiesfundraising.com and enter 10-1251 as the Group ID#. Make sure they enter the student’s name, so the student gets credit for the sale. The customer pays online, so no need to worry about collecting money or making deliveries out of town. Please note, there is a shipping charge added to the order, and the profit is only 25% less the 10% for the BPO General Fund. Do not turn in online orders on your Master Sheet! JEFF HOENER has graciously agreed to run for Treasurer - but this will be only for ONE year (19-20 academic year). We need a volunteer to learn the ropes with him next year and run for treasurer to serve starting in 2020 academic year!! Welcome and THANK YOU to Nancy Robertson and Beth Lott who are going to co-chair Merchandise for next year! Next semester we have 3 full band/images fundraisers. Full participation is needed to make these a success!! More info to come in the new year about these fundraisers! EVERYONE NEEDS TO PARTICIPATE TO START PLANNING FOR NEXT YEAR! Can be found in forms and documents! The most recent minutes are at the top of the document. FINAL PAYMENT is due January 7!! Payment should be made to WHHS BPO, turned in to Mr. Hopkin's office or to Lisa Brawdy, Treasurer. You can contact Jen Pekor to find out your account balance (whhsbpo+finances@gmail.com) or contact Mr. Crone for total trip costs. That's a Wrap Fundraiser starting next week! We will have a variety of flavors this time (not just pepperoni rolls). Pick up your order form at the Band Parent Meeting on January 9 or outside the band director's office! Coming soon: Sarris Candy Sale!! *Uniform- must wear black pants, black shoes, a black button up shirt tucked in. *Report time is 4:30pm – enter through Gate 6 on Reedsdale Street and report to the North Club on level 3. I will be at Gate 6 to greet them. They will finish around 11pm. *They will be passing appetizers and clearing tables-so much be comfortable carrying a tray. Please email Donna Kefalos at whbpo.heinzcoordinator@gmail.com if interested by this Friday MORNING! All workers must have training completed! !